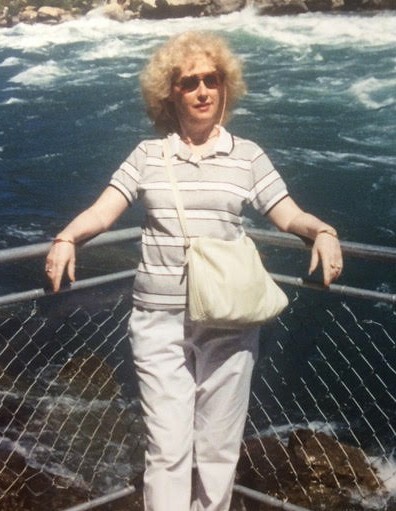 Frances Bariglio, 81, of Westerville, Ohio, passed Monday, March 18, 2019,after battling Alzheimers/dementia for over 10 years. Frances was born to William and Jennie Rodebaugh, May 24, 1937 in Philadelphia, Pennsylvania. Frances graduated from South Philadelphia High School for Girls. She married Mike Bariglio Jr in 1954.They lived in New Jersey for over fifty years and moved to Ohio in 2017. Frances worked as a Pharmacist Assistant for 45 year with Southwood pharmacy and CVS. Frances was loving,caring and devoted to all her children and grand children and great grandchildern. Frances traveled to Italy and France,took a cruise to the Caribbean,and visited her favorite place Hawaii twice all with her husband by her side.